New Delhi: The Minister of Communications Shri Manoj Sinha launched here Tarang Sanchar, a web portal for Information sharing on Mobile Towers and EMF Emission Compliances and said that it will go a long way in clearing the myths and misconceptions of public on mobile towers and emissions from them. He expressed the hope that the portal will empower common man to know at the convenience of a mouse click, about towers working in a particular locality and whether they are compliant to the EMF emission norms defined by the Government. Shri Sinha said that the portal will allow users to get a tower or base station checked for radiation emission, for a fee of Rs 4,000. He said that mobile phone today has become an essential requirement for all including the poor in the remotest corner of the country and no one will be allowed to spread misconception about the harmful radiation from the towers to impede the growth of the country. Shri Sinha reiterated that there are over 25,000 studies by WHO in the last 30 years on the subject and there is no proof that EMF radiation has any harmful effect on human health. Brushing aside growing concerns over the emanating electromagnetic frequency (EMF) radiations from mobile towers, the Telecom Minister once again reminded that Indian norms had prescribed 10 times stricter limits for radiation emission in comparison to global standards. He said that more measures are being taken to penalise the erring entities. Shri Sinha said that to realize the Prime Minister’s vision of Digital India, it is necessary to have more and more mobile towers in every nook and corner of the country and the Ministry has already approved installation of towers over government buildings, 16 places in post offices and soon a decision will be taken to install the same in Cantonment Boards, which will not only help in spreading digital connectivity, but will also solve the problem of call drops significantly. Describing the launch of the portal a historic step, the Minister said that in future it will help in identifying the blind spots and added that it is also environment friendly as no paper work is required for this. He said that it has the complete collated technical details of over 14.5 lakh base stations (BTSs) spread across the country of all technologies (2G, 3G, 4G etc.) and of all Telecom Service Providers (TSPs). Speaking on the occasion, Secretary, DoT Shri P K Pujari said that the portal will make information available to all concerned and he underlined that the focus of the government in the last three years has been transparency, disclosures and citizen-centric measures, which are the hall marks of good governance. He said, though there is no scientific evidence of any health concerns from low power mobile BTSs, a need was felt to educate the citizens about EMF emissions from mobile towers and status of their compliances. Shri Pujari said that the portal has three elements of providing information, EMF compliance process and interface between different departments, besides ease of doing business. In his address, the Chairman, TRAI Shri R S Sharma said that the portal will be a mile stone for transparency, fair play, citizen empowerment and will finally lead to a knowledge economy. He said that digital empowerment in India is only possible when there is adequate digital infrastructure. Shri Sharma said that mobile phone in India today is not only a talking tool, but it has become an instrument for various transactions including cashless transaction and he lauded the collaborative effort between the government and the industry for this. Shri G K Upadhyaya, Member (Technology) said that the EMF Portal is designed to provide a public interface where an easy map-based search feature has been provided for viewing the mobile towers in vicinity of any locality. He said the that any person can request for EMF emission measurement at a location by paying a nominal fee of Rs 4000/- online. The tests will be conducted by the local Telecom Enforcement Resource and Monitoring (TERM) filed unit of DoT and the test report will be provided to the requestor. The portal also has ‘EMF Overview’ and ‘Learn’ Sections, which provide numerous articles, booklets and videos, to further educate the citizens about EMF and coverage of telecom services. Shri R K Misra Member (Services) in Telecom Commission in his thanks giving address said that in addition to Government to Citizen (G2C) services, portal also facilitates Government to Business (G2B) service delivery in a transparent and eco-friendly manner. 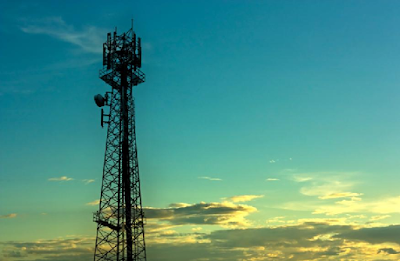 Tarang Sanchar, a web Portal for Information sharing on Mobile Towers and EMF Emission Compliance - Department of Telecom (DoT), Shri Sinha said that the portal will allow users to get a tower or base station checked for radiation emission, for a fee of Rs 4,000.